NEZ Drift Championship first round in Kehala, Estonia, was named “Rollercoaster from hell.” Before going there, I did hear some rumours about it, but I was not sure what to expect. 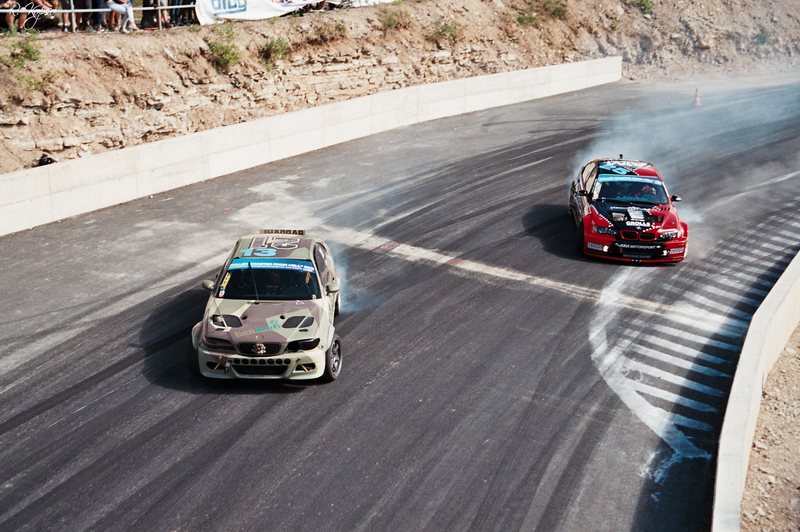 Well, drifting is drifting – cars flying through corners with rear-end loose, grid-girls waiting at the finish line…and in the end, someone wins the event. At some point, someone breaks their suspension, and some bumpers are left alone next to the track. But wait…what was happening in Kehala, Estonia on 8.-9. June 2018, was something…extraordinary. Keep reading, to be amazed. I was on track with my phone, which I used to record video (by the way, 960 frames per second – check to the end of the article for the video!). In addition, I was accompanied by Sigma SA-7 camera, which takes photos on oldschool 35mm film. You remember that film that your mom used and each time some pictures were messed up, because granny used flash at the wrong time? Yep, that one. So I had only 1 chance to take every shot. This story is authentic, and pictures are exactly like they came out from the camera. Every picture is also available on photo paper! It’s not my first time in Kehala. I’ve been there because of numerous rally events. 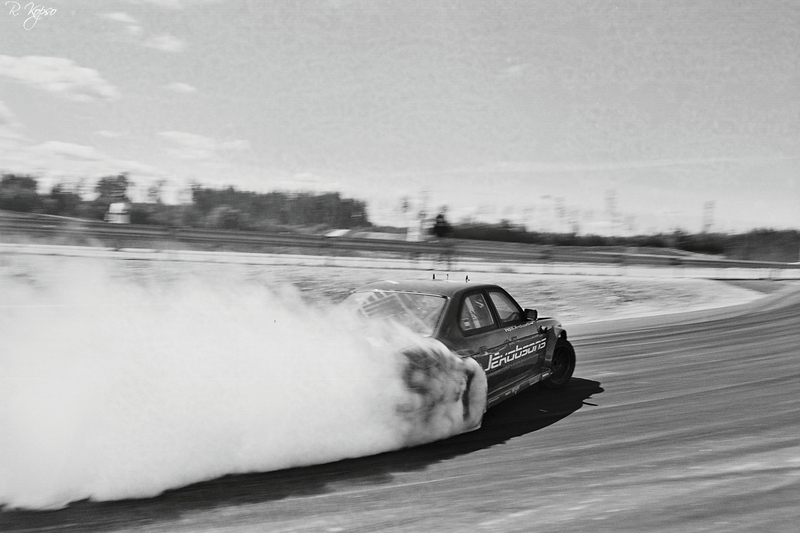 It was built like this for…well not for drifting. 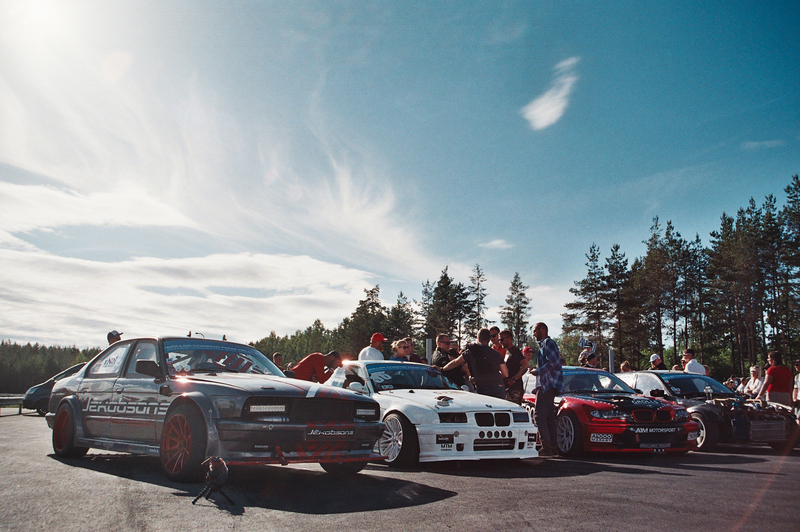 Last year, the first drifting event on this track was held, but this year the track layout was completely new and…simply put…it was complete HELL. 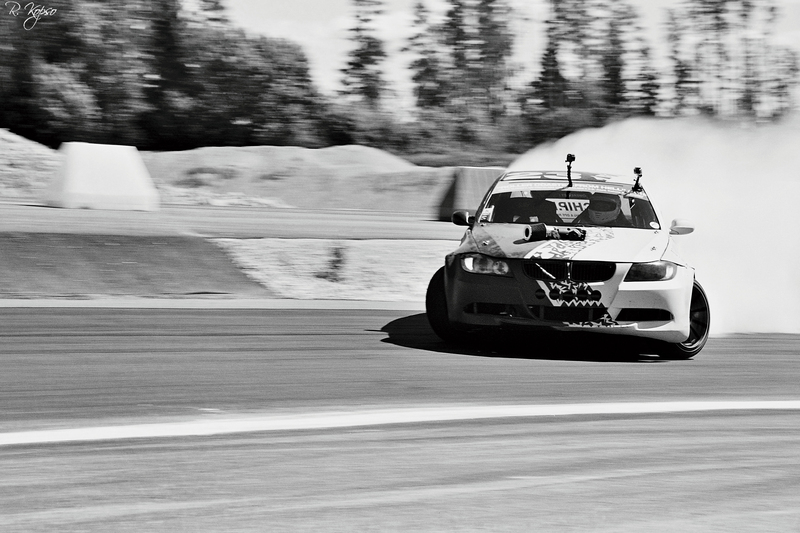 The event started like any other drifting event. Cars were waiting in the pit-area. Yes, you can see girls…but no, this was not the reason of the first emotion. You see that girls stand on the track. Where do I stand? About 15-20m away from them and 5-6m lower. WHAT? 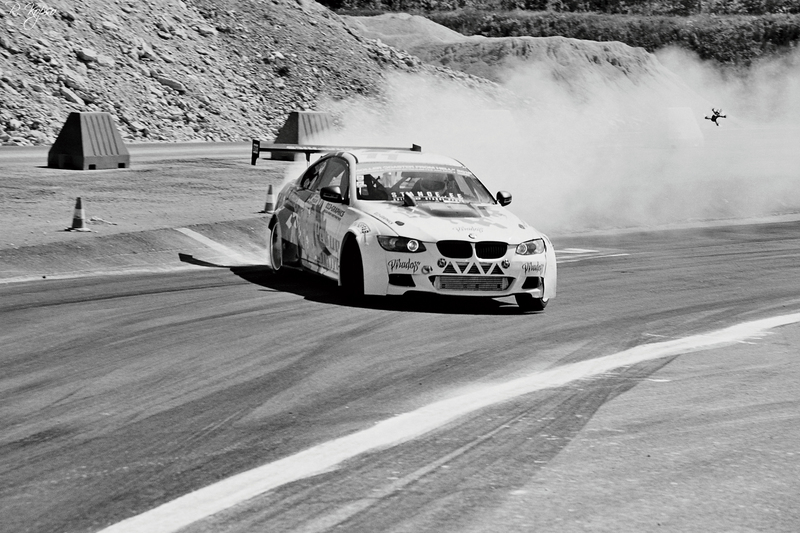 Jump on a drift track? 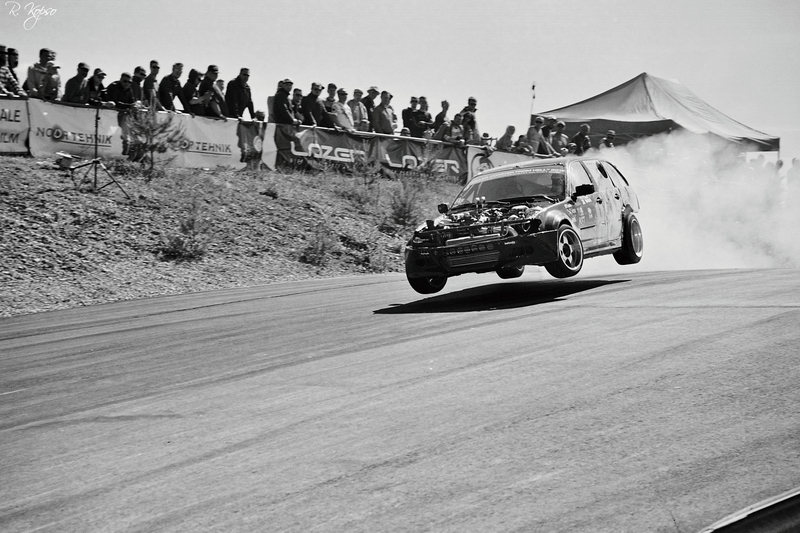 Yes, it is the same jump that rallicross drivers have to experience and it needs some balls to go over at full throttle. If you would measure the difference of the heights from the top of the jump to the lowest point you go after going over it, it would be like..10meters. Maybe more. 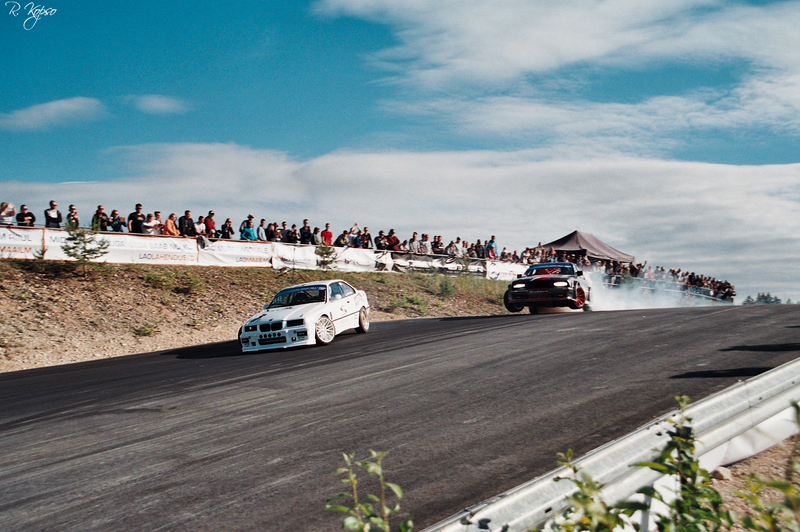 I can state the fact that drift world has not seen a jump like that on a track before. Probably. Let’s compare a bit. 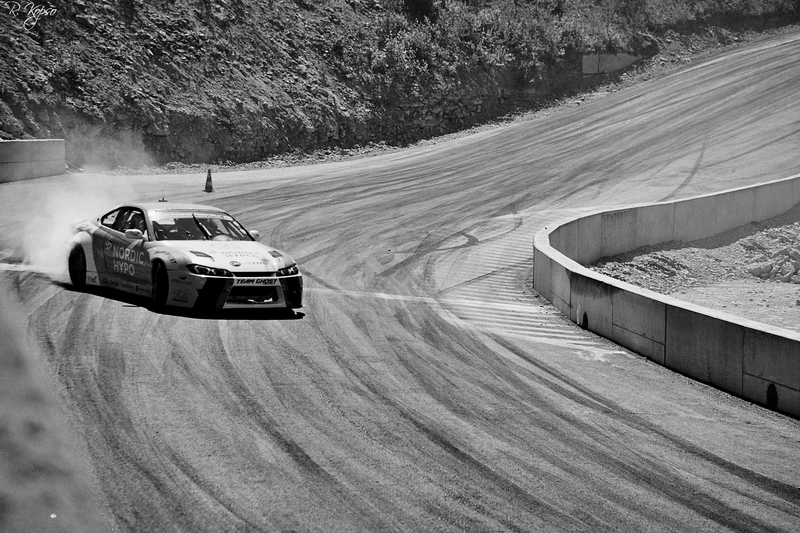 All autosport fans probably have heard something about Ebisu track in Japan. Let’s look at a screenshot from offical D1GP event replay, how Daigo Saito went over a jump back in 2010. Pretty awesome, isn’t it? Well, watch out, Japan, here is Estonia. First over the jump with a beautiful ballet move – Kristjan “Sallu” Salmre. After that, a crazy guy (in a good way) called Andri Raudva, went over the jump. This guy made mad jumps for the whole event and earned the ovations of the whole audience. Aaand then, Jako Pino appeared, and decided that this track and this jump is his playground. Jako won a special price for those mad jumps (crate of Red Bull, because you know, he needs wings). Video of his biggest jump, which was uploaded to the internet, went completely viral (during writing this article, the video reach counter was already on 1 million. If you want to compare with something, we have about 1,3 million people living in Estonia). Thanks to this guy, this track has a great future, from the perspective of the whole world. 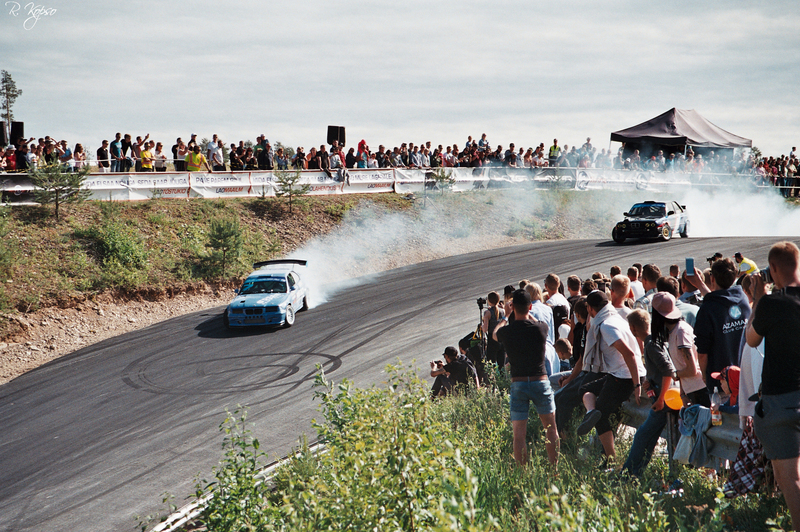 No Pressure there, Estonian Drift Association. Some of you probably think, that what could be so special about one jump? Cars tend to jump when there is a crest on the road and speed is high. Yes, they do. For complete understanding, you have to look at this track as a whole. I’ll try to explain. Stage started with a fast and wide corner. Let’s see how Kristjan “Crac” Klemets, Henri Kivimägi and Kristjan Salmre go through it. You have to go as much outside as you can at this corner, to get good points from the judges. This time, Kevin Pesur was on the track again. 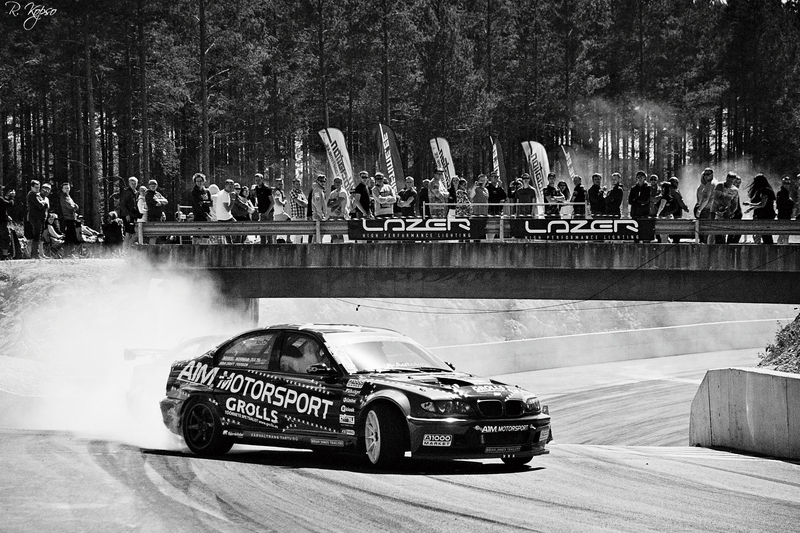 Young Estonian drift driver, who has done great things on the track, but this season has been a bit tricky for him. After that corner, you need to do a flip to the other side and enter the next corner, taking you to the right. Like the last one, you have to go as outside as possible. On the picture we see an example from Randar Kajo. And now, to the main part. I honestly cannot imagine how does it feel when you approach the end of the world – you cannot see anything in front of you. 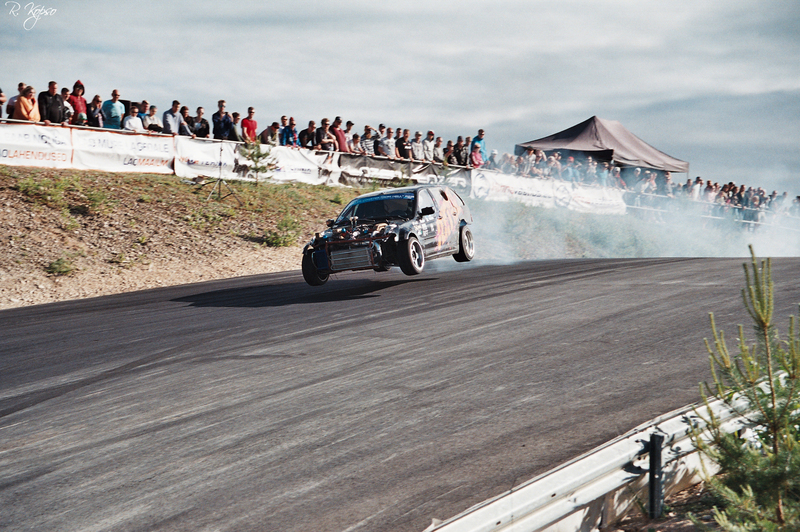 And you know, that your car has to stay drifting after going over this mad jump. Ingus Jekabsons from Latvia is flying after Oliver Randalu (Estonia). Those guys battled against each other in the final run. What is interesting, that Oliver decided his participation on the last day before the event. You saw Andri Raudva already. Well, here he is again. 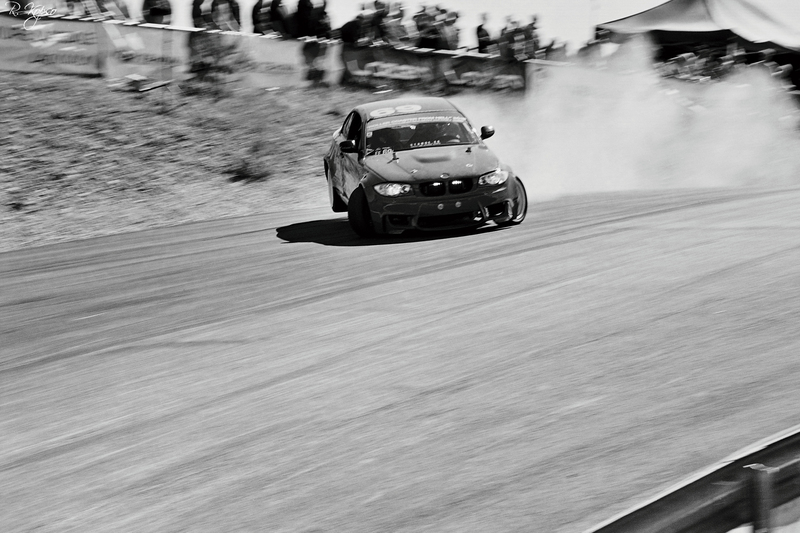 I can honestly say that I cannot remember how many times he broke his car on this track. What amazes me is that after each time he managed to get back on the track with help from his great team. Lots of audience gathered next to the track on this day. And i have to say that it is one of the best tracks, that I’ve seen, for audience. You can be quite close to the track and see everything but still feel safe. It’s also a perfect track for photographers – i am sure that you will find lots of different angles of this track from the world wide web. 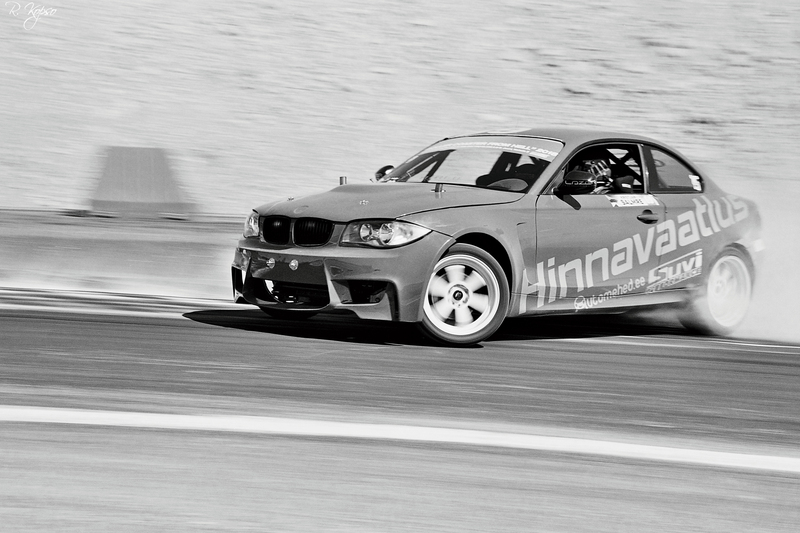 Like I mentioned – after the jump your car has to stay drifting because the track still goes on. Last years champion Mihkel Norman Tults nailed it almost every time. 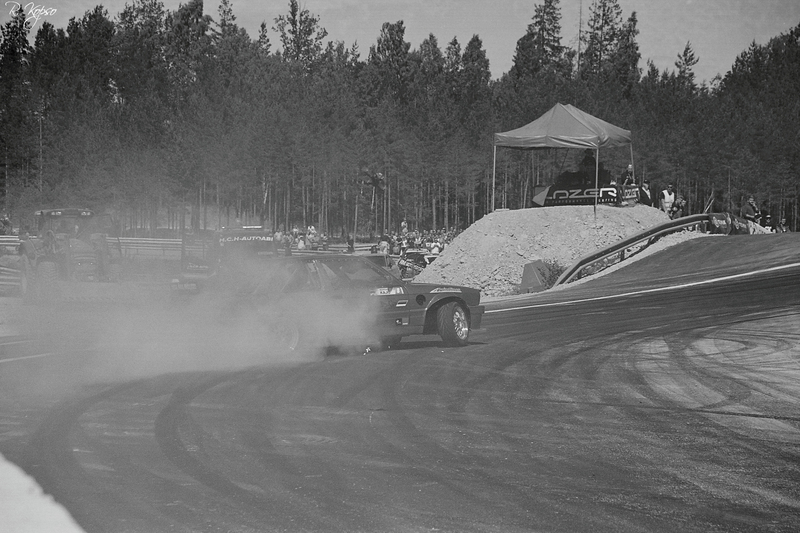 If before TOP16 tandem rounds there was quite a lot doubt going around about us seeing some good battles (reason is quite obvious – if the first guy makes a mistake, it’s over for both), then after first couple of battles it was sure – this track is the G….DEVIL of all tracks. 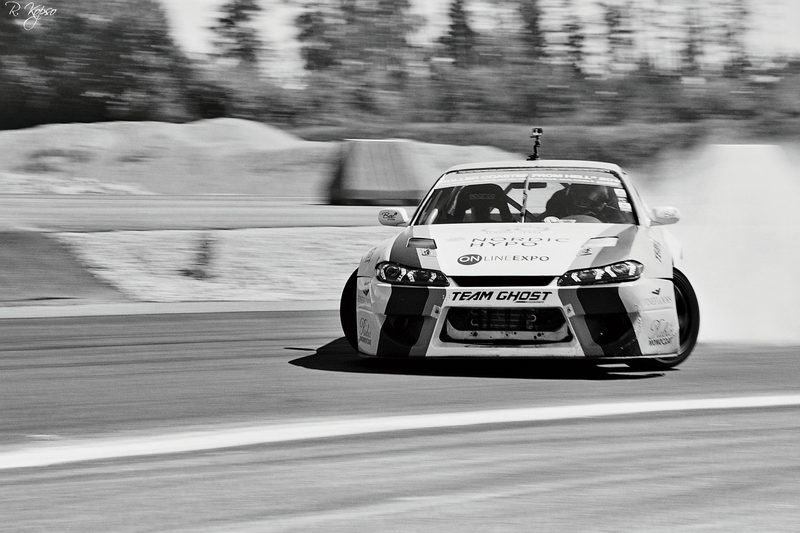 If you want to be good in drifting, you have to be strong. Mentally – for sure, but even physically. 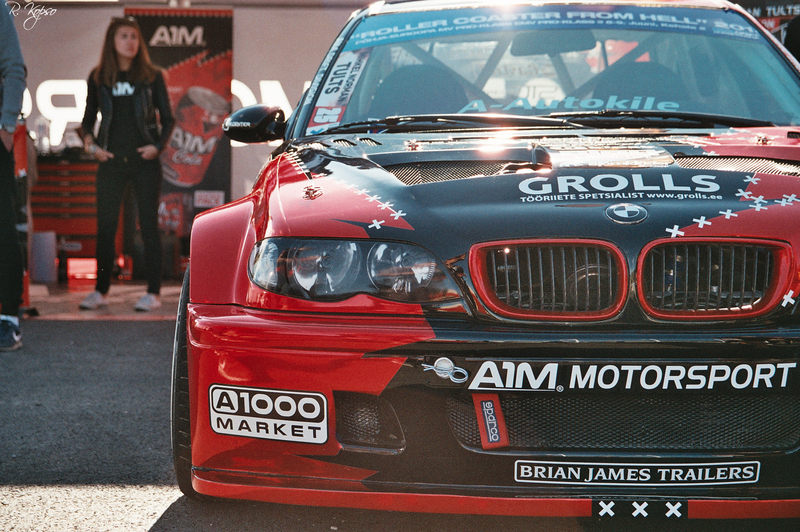 You can see Latvian guy Janis Jurka doing some push-ups next to his car…on the track. ..ah yes, let’s continue. So the next corner went under the bridge. It was also the lowest part of the track. 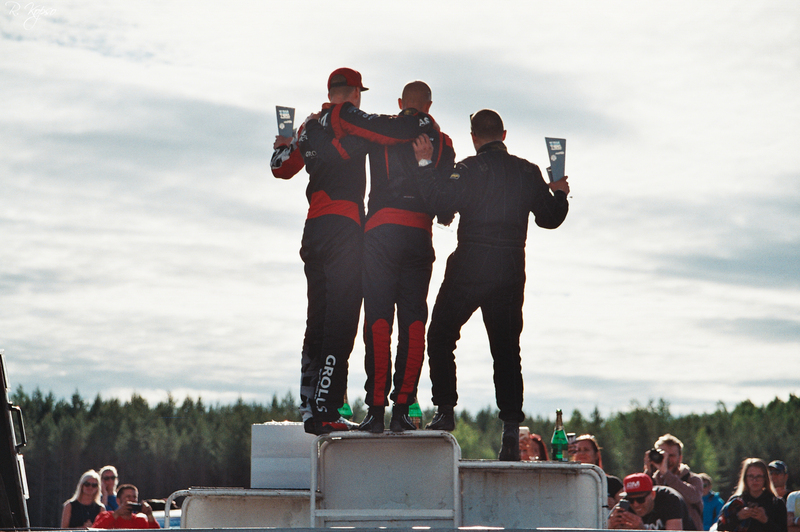 …and after that, drivers had to gain some height again. This time, fortunately, a bit more smoothly. This corner demanded full throttle to go till the and and once again it was needed to stay as out as possible. And we finally reached the finishline! Guys who were able to do a clean run through this stage…well what can I say, they are NEXT LEVEL. Decision about who is the winner of each tandem-battle were announced at the finish line, where grid-girls were already waiting. Those guys made to the TOP4 and the final battle begun. From the left: Ingus Jekabsons (LV), Oliver Randalu, Mihkel Norman Tults, Andri Raudva. So, 1 Latvian against 3 Estonians. And applause to our TOP3! 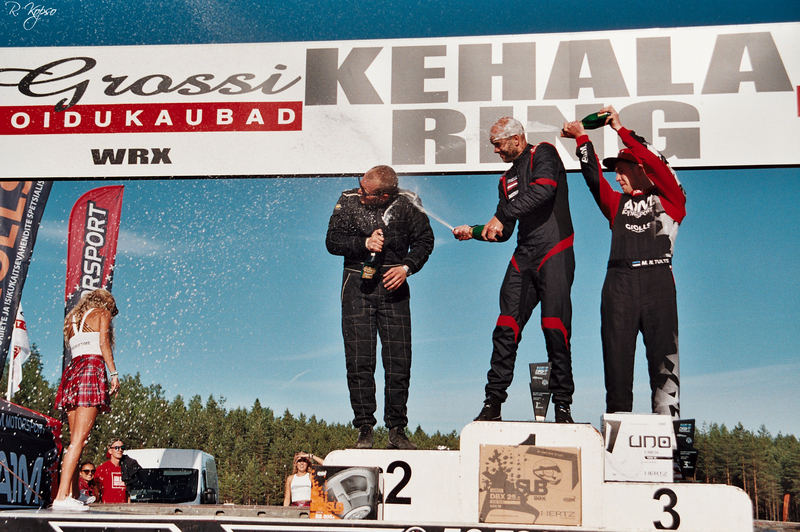 Let the champagne flow like a river, because this track has now been blessed by the best drivers from the Nordics. And memorize this crest. This is more famous than…Estonia now. In conclusion, I would like to thank the organiszers, owners of the track and ofcourse our participants. To end this story, take a look at Ingus Jekabsons, flaming through the famous “Jump from Hell”. Check out the video teaser I promised, clicking HERE. Till our roads cross again!